Hey there! I sincerely apologise for the lack of updates, a lot has been going on lately, I was caught up trying to settle in at my new place and office, not to mention having a terrible flu, I've been neglecting Shop Guns&Glitters as well because I now have like, well... 4 jobs to juggle. I know it's no excuse but I'm still trying to find the perfect balance between them all, along with some personal time for myself and my dear ones, 2014 is going to be a busy year, but I CAN DO THIS! Ok, enough with the chit chat and lets get back to business. This post is actually quite long overdue but anyway, I was invited back in late December to walk on a charity fashion show at Weekender Bazaar held in Soho KL, I was honestly pretty stoked about it because Amanda (my events partner-in-crime) will be there, also Juliana from Sundaesins which I have never met but heard of at that moment was one of the 5 guest bloggers, as well as Daphne who I've known since forever during my freelance modelling days, it was an event hard not to look forward to. Once we got there, each bloggers were assigned to different vendors who are participating in the charity auction, and mine was Shi Style. Wish I had more pictures to show, I remember I saw a bunch of them somewhere but I just can't find them anymore, damn it! Anyhoo, the orange blazer and lace dress, and the pictures above are all from Shi Style. Last blurry group picture before I end this post in courtesy of Daphne. 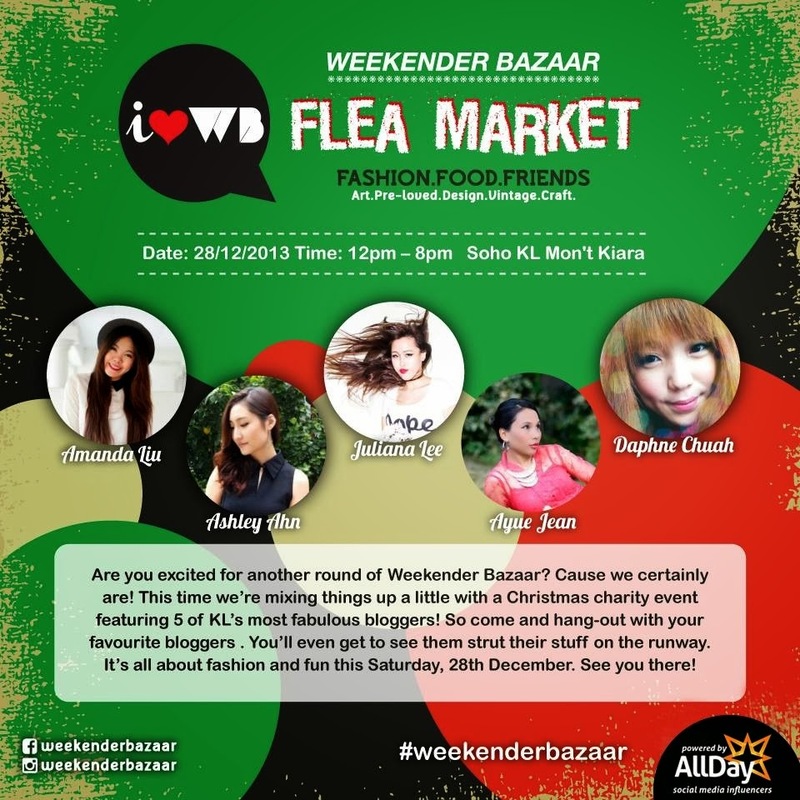 Do check out Weekender Bazaar's Facebook page to get their latest updates on the next Bazaar!